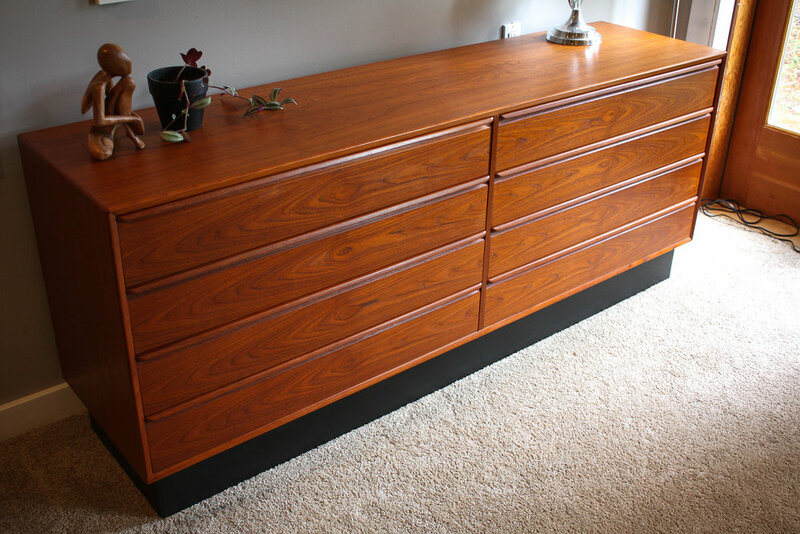 A beautiful teak eight-drawer chest by Westnofa of Norway. Highly figured teak veneer with solid teak molded handles. Bookmatched drawer fronts and fully finished interior drawers. Original black Naugahyde black plinth base. Retains Westnofa label on the back of the dresser. Drawers slide perfectly and this thing is in as close to new condition as you can get.